Jonathan Vallade is a talented osteopath with a great passion for what he does. His extensive knowledge of anatomy and movement reflects strongly in his work. Jonathan is a member of Hong Kong Osteopathic Association. Born and raised in France, Jonathan is the son of a Yoga master and he grew up learning that good health comes from the unity of mind, body and soul. As a physically active child, Jonathan practiced martial arts from a young age. For a time, he was a member of the Kung Fu Wushu National French team, participating in high-level competitions and winning multiple gold medals. 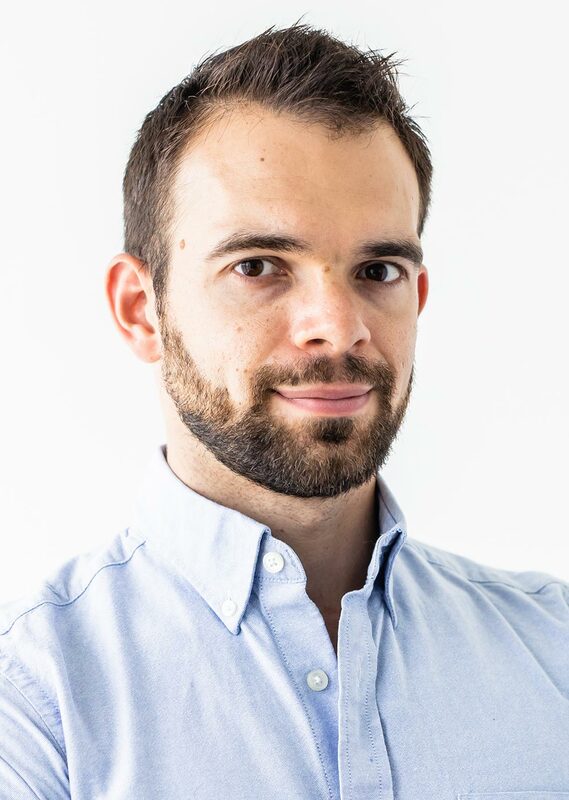 His desire to understand how to prevent injury – and to recover quickly from injury (when prevention isn’t always possible) – led Jonathan to complete a 5-year master’s degree program in Osteopathy from the European Centre of Osteopathy Higher Education, recognised by the French Ministry of Health and the EU. He also holds an Inter-University Diploma of Anatomy as well as various complementary therapeutic therapies: Shiatsu, Tibetan massage, sports massage and fascia therapy. In parallel, Jonathan successfully obtained the French High National Diploma in Physical Education and Sport, providing him with a well-rounded, holistic understanding of the human anatomy and body performance. Jonathan worked as an independent osteopathic practitioner in France for 5 years before joining IMI in 2016. Jonathan treats a wide variety of patients of all ages and complaints – from sporting injuries, musculoskeletal and nerve pain problems through to reflux digestive disorders and migraines. His many complementary qualifications combined with his background as a professional physical trainer, enables Jonathan to provide the most effective treatment for each patient. This can involve a tailored pain management plan or a personalised exercise plan; helping patients heal faster and ensure long-term recovery. Jonathan offers targeted stretching, skilled sports and therapeutic massage, joint manipulation, trigger point release techniques, fascia and visceral mobilization and craniosacral therapy. Jonathan continues to deepen his practice in martial arts (Boxing, Brazilian Jujitsu and Wing Tsun) and expanding his therapeutic healing techniques. Recently, he has developed a strong interest for yoga teaching, which has led him to regularly deliver anatomy classes to certified local yoga practitioners. Jonathan Vallade est un Ostéopathe français membre de la Hong Kong Osteopathic Association. Avant d’intégrer IMI, il a travaillé en tant que praticien libéral en France dès 2011. Il propose un traitement ostéopathique pour adultes et enfants, sportifs amateurs et athlètes. Jonathan privilégie autant qu’il le peut une approche en douceur pour le patient, incluant manipulations, massage et étirements, relâchement des points gâchettes, techniques fasciales, viscérales et cranio sacrées. Jonathan est qualifié (Diplômé d’état jeunesse et sport) pour entrainer et préparer physiquement aussi bien le grand public que les sportifs de haut niveau, en cours particuliers et collectifs. Son expérience lui permet de proposer des programmes d’exercices personnalisés pour aider ses patients à retrouver une santé aussi rapidement que possible et de la maintenir sur le long terme. Sa passion des arts martiaux et du corps humain lui ont permis de voyager et de découvrir de nombreuses cultures. Ses 20 ans de pratique du Kung Fu et du Tai chi dont 15 en compétitions (5 en Equipe de France), lui ont permis de développer et partager de nombreuses valeurs dont le respect, l’humilité et la sincérité.